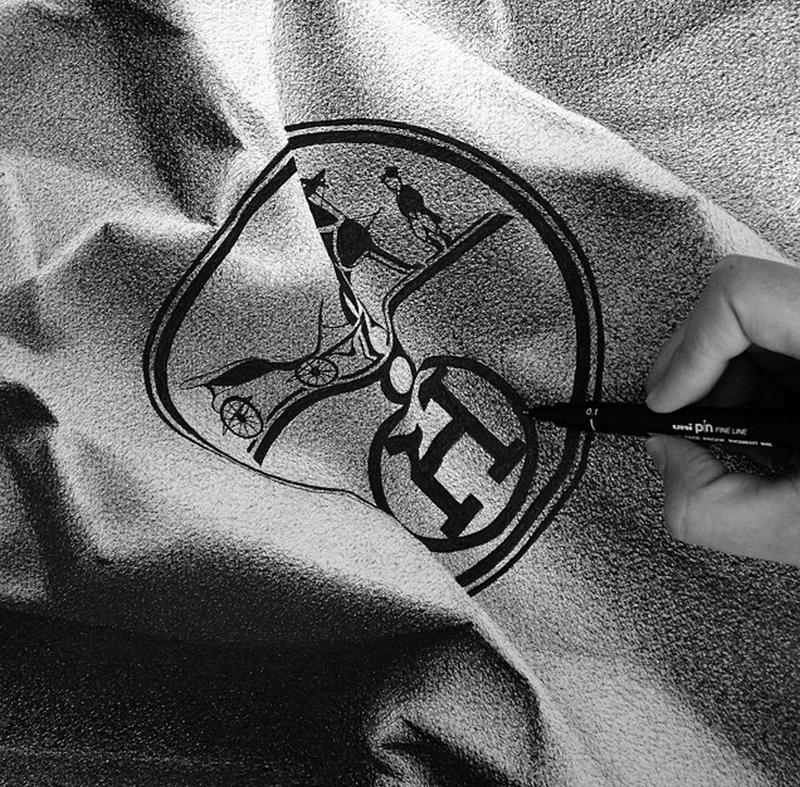 Cj Hendry is a absolutely incredible artist who is known for her high-end fashion drawings. Earlier last year I stumbled across a blog post done my Boooooooom.com. Cj Hendry is an Australian artist who is known for her extremely realistic drawings. The drawings she produce are black and white pen drawings. She spends days or even weeks making meticulous scribbles (that become beautiful shaded pieces) on large high-quality sheets of white paper. 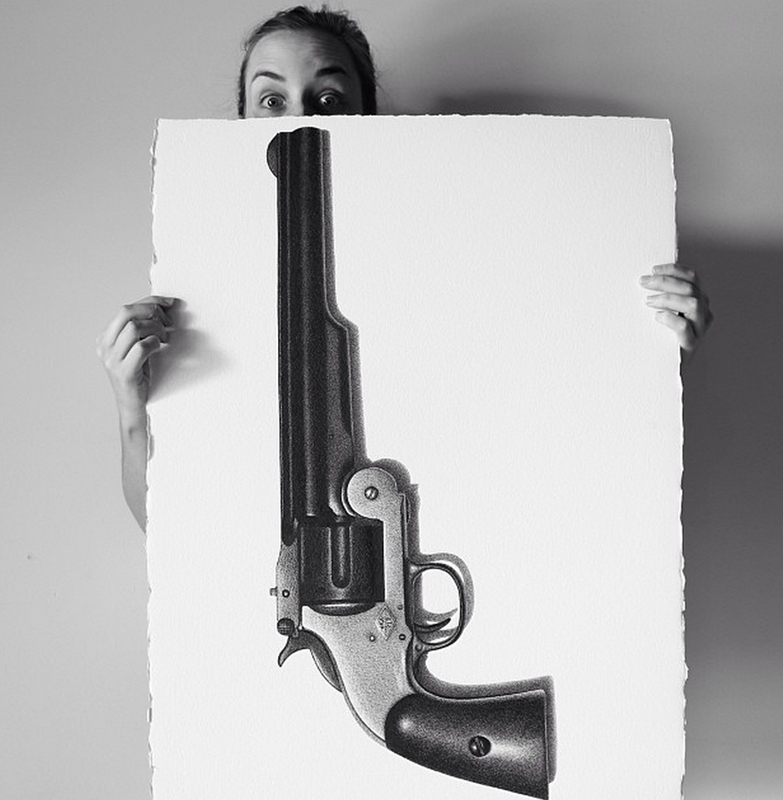 Her work ranges from old Smith & Wesson hand guns to Gucci products to vintage shoes to even a Louis Vuitton zebra. Cj Hendry produces incredible pieces that only get better and better with time.